Chief of the Army Staff (COAS) General Raheel Shareef visited Government College University (GCU) Lahore, his alma mater and interacted with the students and faculty members on Friday. To revive old memories, he visited various sections of the premier institute specially those parts where he had spent his days as a student. 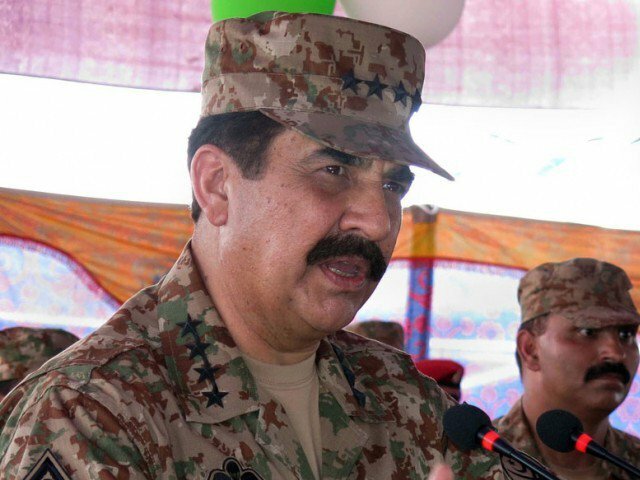 While paying rich tributes to both the faculty and management of the university for their role towards grooming and honing our youth, the COAS said the GCU has always played a pivotal role in producing a stream of scholars, scientists, artists and intellectuals of international acclaim, who have contributed immensely in their respective domain, the ISPR said. The COAS emphasised the youth should always focus on 3Cs (Character, Courage and Competence) and strive for honour and dignity through hardwork and faith in Allah. The COAS while expressing his optimism for a brighter future of the country, said that Pakistanis are a great nation and our human resource is our real asset.